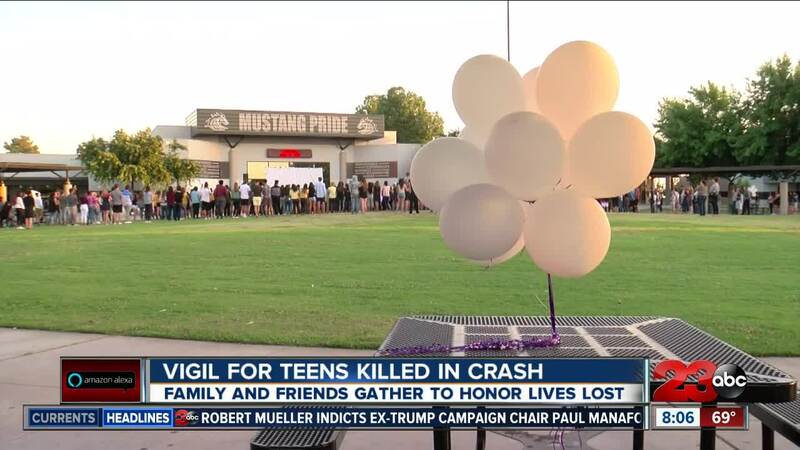 Hundreds gathered at Stockdale High School Friday night for a candlelight vigil honoring two teens killed in a roll over crash on I-5 on June 3. Stockdale High School graduate 18-year-old Amal Shurbaji and 15-year-old freshman Sidney Chang were the two teens both killed in the crash. RELATED: Amal Shurbaji was one of two teens killed in the crash Sunday night on I-5 near Grapevine Road . According to the California Highway Patrol, the Jeep that both students were in was cut off on Northbound I-5 just south of Grapevine Road before 5:30 p.m.
CHP officials said the Jeep, "took evasive action and lost control of the vehicle." Officials also said the Jeep then went toward the center median and hit an asphalt curb and embankment and overturned. CHP said the vehicle rolled multiple times. Four people were in the Jeep and all suffered injuries but Shurbaji and Chang were the students that were taken to a hospital and later pronounced dead. Anyone who may have been a witness or has information is asked to contact CHP at 661-396-6600.